Social media sites like Facebook and Instagram are great platforms for sharing snippets of your life — whether it’s a weekend ski getaway with friends or family, a conference you attended for work or a photo of your adorable pet (who everyone already know you’re obsessed with). But what do you do when your co-worker or boss sends you a friend request? With nearly 2.3 billion monthly users on Facebook and at least one billion on Instagram, you and those you work with will undoubtedly come across each other at one point or another. This blending of work and personal life can make boundaries even trickier to navigate online than in the office. 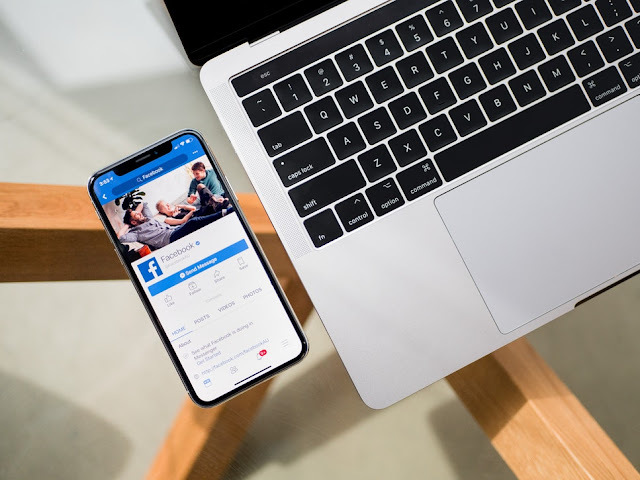 According to a study by Igloo Software, a digital workplace solutions company, 68 percent of full-time employees are connected with some of their co-workers on social media. Millennials (ages 18 to 24) are more than twice as likely as baby boomers to connect with anyone from work that they receive a request from. Interestingly, 91 percent of all these connections were made on Facebook. But here’s the thing, people connect with the people they work with all the time, but it’s important to know who to set boundaries with. If you don’t, bad things can happen — the information your reveal to the public can lead to discrimination and harassment or create awkwardness or tension at work. It really all comes down to your social media use and footprint: What things are you sharing? How personal are they? Who are you sharing them with? Do your posts serve well with your audience? Your boss is absolutely off limits on platforms like Facebook and Instagram. But often, when someone gets a friend request from their boss but want to resist, they’ll feel pressured to do it anyway. Doing so can cause a lot of problems. Your goal is to have them respect you as much as possible, and in a professional way. They have the power to help you progress in your career, but having them see pictures of you in a bikini will do more harm than good. If your boss sends you a request, it’s safe to ignore it at first. Wait at least a week or two, and then add them on LinkedIn. And if they continue to bring it up, you might want to make your profile private altogether, or at least restrict access to any content you don’t feel comfortable sharing with them. Friending someone you don’t have a relationship with outside of work can lead to a number of problems. If you post a very personal photo, for example, co-worker might post an inappropriate comment that makes you feel uncomfortable, harassed or discriminated against. This can make interactions at work extremely awkward, especially if the situation escalates to a point where H.R. gets involved. It can also damage your reputation at work. Let’s say you have a private account and two co-workers — Jillian and Emmett — send you a follow request. It could reflect poorly if you give Jillian access, but not Emmett. Make sure you don’t have a double standard for whom you’re giving access to. Being consistent in how you treat your co-workers will give you a trustworthy reputation and keep you out of workplace politics. This applies to anyone who you’re senior to, like an associate or intern. Remember, it’s all about respect. What if that intern or associate ends up getting promoted to a position that reports to you? You want to maintain your good first impression, and you want them to respect and see you as a leader who they’re confident will help them grow in their careers. If they do send you a request, it is more than acceptable to ignore it. You’re teaching them a valuable lesson about setting professional boundaries, and that’s something they’ll appreciate in the future. They say keep your friends close and your enemies even closer, but that doesn’t apply to Facebook and Instagram. Avoid friending on social media anyone you’ve had issues with at work — even if those issues have already been solved. It’s also not uncommon to have that creepy co-worker you pass in the hallways every day send you a request. (No co-worker is perfect and “stalkers” do exist in the workplace.) Avoid accepting their request at all cost. The simple reason is that you don’t want them having access to any sensitive content that they could use to intentionally hurt you. If they continue to harass you or send you messages like, “Why haven’t you approved my request?,” let them know you don’t feel comfortable adding co-workers unless you’re close with them outside of work. When starting a new job, your first day at work your only chance to make a great first impression. Get to know your new co-workers. Invite them to coffee or lunch, and maybe you’ll end up forming a bond and starting hanging out with them outside of work. “The time frame for connecting with [ co-workers online] is after you’ve built a personal bond. I’d recommend a minimum of one, but at least two months,” Winnie Kim, a millennial financial consultant, said in an interview with Moneyish. When in doubt, you can always add your co-workers on LinkedIn, which is a more career-oriented social networking platform. But unless you’re self-employed or trying to brand yourself for professional purposes, you may want to consider creating a separate account that’s appropriate to add co-workers. Many CEOs (and even celebrities) have two profiles: One that’s public and “more professional” (for colleagues) and one that’s private and “more personal” (for family and friends). It’s also important to know your audience. If your profile is public, don’t post anything you wouldn’t want your boss seeing. Keep excessive drinking, drugs and other potentially offensive material out of your photos. All it takes is one person seeing the wrong thing, and you could be the object of workplace politics, gossip, discipline or even termination or legal action in a worst-case scenario! Instagram has a “close friends” tool which allows you to separate those who can see your posts from those who can’t. There’s also no harm in keeping your profile private. If you’re just naturally a very “open” person, you can keep your content public as long as they’re an indication of trust and transparency that reflects well on you. Potential employers, in particular, always appreciate transparency, so, if appropriate, it might even help if you’re job hunting. Debby Carreau is an entrepreneur, author and founder of Inspired HR. She has been recognized as one of Canada’s Top 25 HR Professionals and is a regular contributor on multiple TV shows, Entrepreneur Magazine and many other print and online publications. She is a board member for YPO and Elevation Group as well as an Advisory Board member for FinDev Canada.